Not much comes close to the Nikon E200 Microscope when you're looking for a compound model with great imaging. 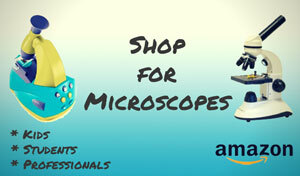 Designed with the classroom or laboratory in mind, this Nikon microscope has some of the best of Nikon’s technology wrapped into an affordable package for the serious scientist. This model stands out for its comfort, great optics, and solid design even though it's considered a more "basic" research microscope. Anyone who views prepared slides, from biologist to veterinarian, will get a lot of use out of its functionality and ease of use. The feature that makes this model stand out most is the CFI60 Infinity Optical System. This technology has previously been reserved for the more expensive units in the Nikon microscope family. The Nikon E200 microscope is the first one to utilize it to yield sharp and clear images that will amaze even the most skeptical user. This Nikon microscope also has some great body design features that make it more user-friendly. It is fairly compact, resistant to vibration, and sports anti-mold paint to protect the exterior. This model will last longer in hot and humid environments than other microscopes. Another thing we liked is that the focus knob and stage handle lie equidistant from the user, meaning the operator doesn’t have to twist and turn too much to use it. This makes it much more comfortable on the back. In fact, the dials are placed so low that the user can actually rest their elbows on the work table while examining a specimen. 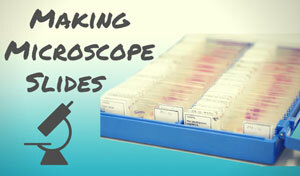 Customizing the microscope is fairly easy to do as well. There is a long list of applications that it is more than capable of being adapted to doing. Users who opt for the trinocular eyepiece tube can even attach a digital camera to take pictures of the specimens. Replacing the lamp is a task that even the most un-handy user can accomplish! Most users of the Nikon E200 microscope prefer it to other models on the market. It falls just barely under the two thousand dollar mark, which might make it a budget breaker for some potential customers. Some users would like to see it with a five hole nosepiece in order to make it more comfortable. We felt like it was pretty comfortable as is, although a five hole nosepiece would be nice! Nikon produces some of the best and clearest optics on the market. Until now, most of their technology has been out of reach. This model has the best of Nikon technology with a price that most people can live with. This is a microscope that was built to last and evolve with the needs of its users. 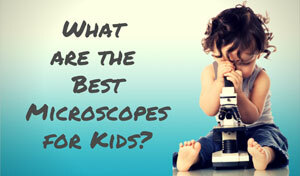 Recommended for: Geared more toward educational or laboratory environments. Students and clinicians will probably get the most use out of this microscope. Some amateur users may enjoy the optical advancements of the Nikon E200 microscope, but the price may be a bit steep. The Nikon e200 can be affordably purchased on Amazon.